Last week in this space, we discussed several common problems with wireless networks and how to resolve them. 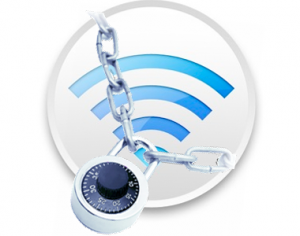 This week, we’d like to address a growing misconception regarding wireless security. Now, we’ve all had our issues with wireless passwords. Can they be a pain in the neck? Sure they can, especially if you frequently entertain company and are constantly scrambling to provide the WiFi password so that they can check Facebook for what is certainly a vital information update. Often times, it can seem tremendously inconvenient to provide this password over and over again, and the temptation obviously exists to simply turn off security all together. This is not a good idea. That password is there for very valid reasons which we’ll address below. There is a growing demand for open wireless networks. As more and more consumers are the world become dependent on the constant connection provided by smartphones, tablets, and assorted iDevices, there is an increasing expectation of instant availability of these networks. Now, you may be a 21st Century Internet philanthropist, looking to bring the power of high-speed Internet to the people, an admirable goal to be sure. That said, before you stake out a spot for your commemorative plaque, it is important to understand the risks of opening your network to anyone who might come along. By now, even the complete computer “n00b” has seen at least one story on the nightly news or in the paper about those unscrupulous net denizens who wile away the hours snapping up vital personal information such as bank account numbers, passwords, and social security numbers from unsecured wireless connections. Most people are even aware that sending information of this kind over an unsecured wireless network is tantamount to spray-painting it on the side of a cargo van and driving around the neighborhood. What’s more, failing to protect your wireless network with a password means that you are leaving the proverbial door open to every computer on that network, including those that are connected via hardline Ethernet cable. This means that all of your files, your videos, pictures, financial statements, even that super-secret design for the ultimate off-road vehicle, are available to anyone with a desire and five minutes of spare time. The single largest concern when it comes to unsecured wireless networks has to do with piracy. This time we’re not talking about someone stealing information from you, but rather using your unsecured wireless network to steal from others. When you leave your wireless network unsecured, you are inviting anyone who wants to use the Internet for something they’re not supposed to be doing to use YOUR connection for their nefarious purposes. This includes everything from downloading pirated movies and software to using co-opted networks to deliver what are known as DDoS attacks, which can cripple businesses and organizations of every size, and come with a special bonus prize of earning you a visit from someone at the FBI. If you’re a TDS customer, you can click HERE to review the Terms of Service. If you’re not a TDS customer, I’d recommend checking with your Internet service provider (ISP) for a copy of theirs. In most cases, TDS customers included, users are responsible for ALL traffic that passes through their network. This means that if the neighbor kid decides that they want to download the entire Marvel Cinematic Universe, the owner of that connection (namely YOU) is responsible for all five acts of piracy. The same goes for any other type of illicit traffic as well. In the long run, there is really no advantage to removing security from your wireless network other than momentary convenience. While it can be tiresome to remember the wireless password along with the dozen or so others that are necessary for your life to function adequately, do it anyway. The alternative is exposing your home network, any networked devices, any information stored on those devices, and your legal well-being to levels of risk that are completely unpredictable. Your primary concern when it comes to the security of your network should be making certain that only those people whom you know and trust are able to access it. Everything else, as they say, is gravy. Thanks for reading today, and hopefully you now know a little bit more about wireless security and how essential it is to protecting you and your data. If you have questions about this or any other pieces, you can leave a comment below find us on Facebook, give us a shout on Twitter or, as always, contact TDS Customer Support at 1-866-571-6662.